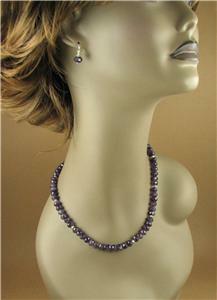 Home › Amethyst necklace and earrings set. Fine & sterling silver. Handmade. 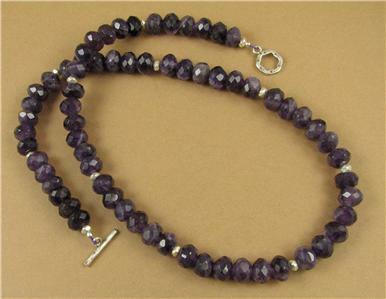 This is a lovely amethyst necklace and earrings set. 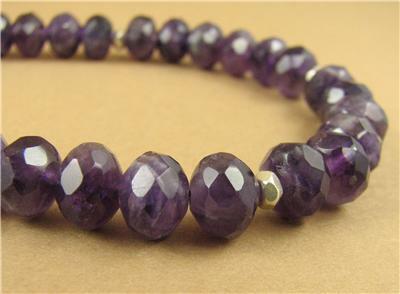 The stones are natural amethyst. They have been facted to catch the light beautifully. 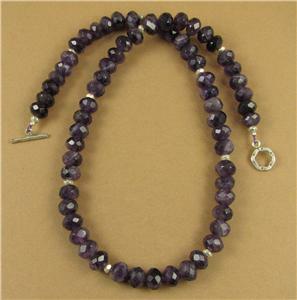 They are variated amethyst which has attractive natural white flecks inside the purple. 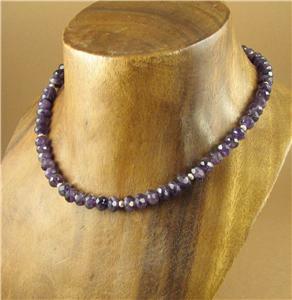 The small beads between the stones and the catch are extremely pure solid fine silver (98%). 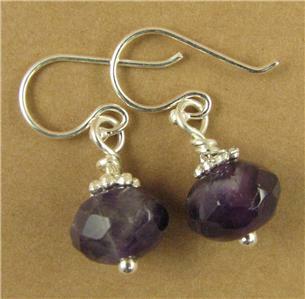 The earring hooks are solid sterling silver. 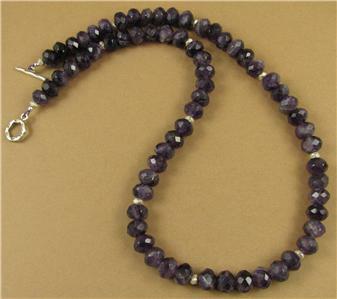 The necklace is 17.5" long. I can alter the length if needed.